Our third visit to this wonderful city has not disappointed us. 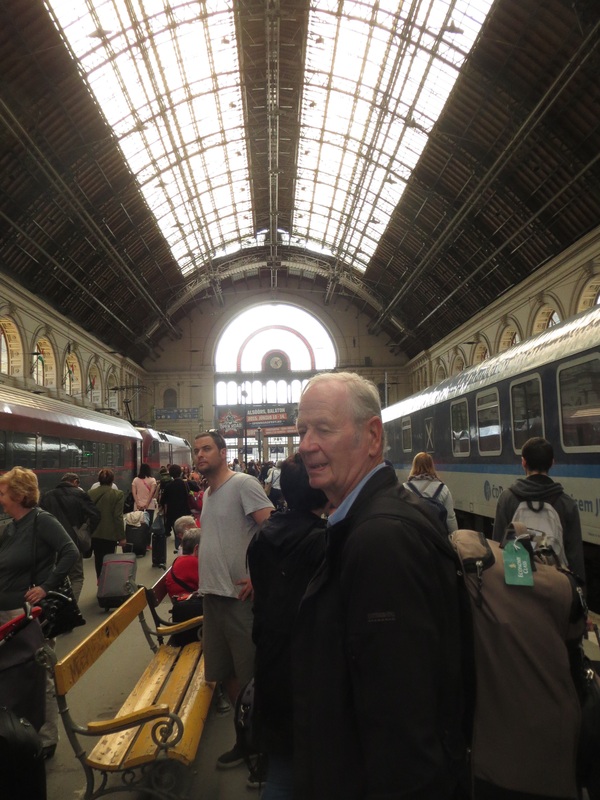 Arriving at Keleti main train station, with its dusty and slightly dishevelled platforms and the vast iron and glass ceiling stretching above us, we knew we had left the clean and orderly environ of Western Europe and had stepped across some invisible eastern line. Our first adventure was via the new no.4 metro from our lovely apartment in Pest to the Rudas baths in Buda, which were originally developed by the Ottoman Sultan Mustafa in 1566 and have recently had a major overhaul. 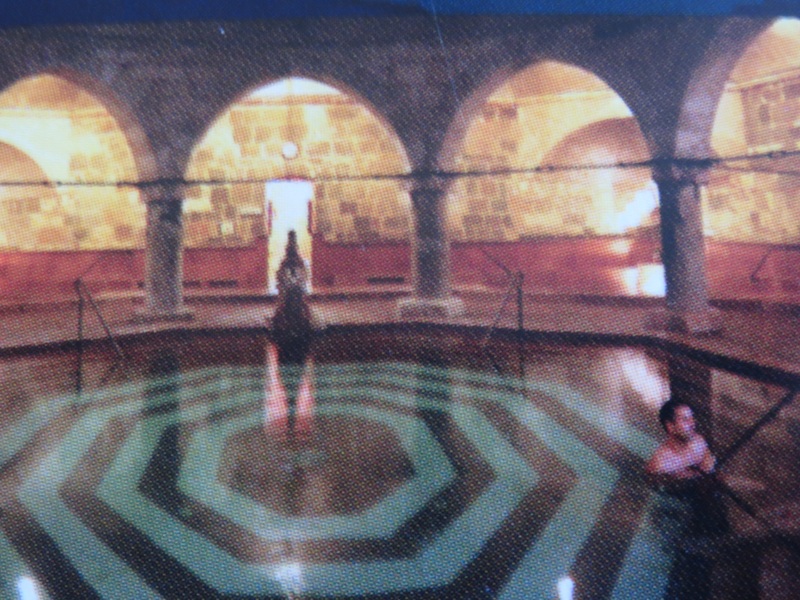 The Turkish bath or Hamam ritual in Buda apparently goes like this: dry sauna, shower, cool pool, relax in the hot room, then the humid steam room and finally the cold plunge! The baths have a variety of pools all at different temperatures and fortunately these are marked, even in the saunas – up to 70 degrees C! There are over 120 thermal springs under the Buda hills, bubbling up under the limestone and Budapest was renowned as European Bath Central at the turn of the 20th century. These waters are therapeutic, filled with all sorts of minerals. On our 3 trips here, we have tried a different bath house. 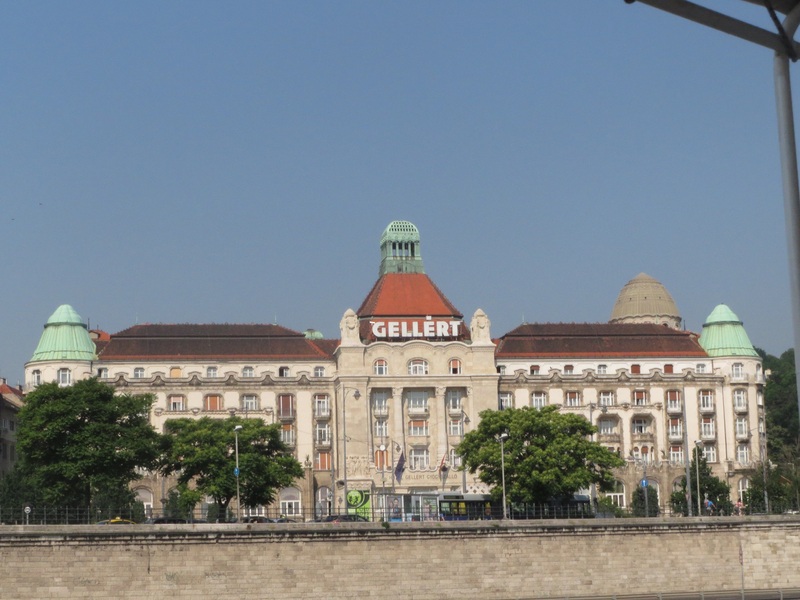 The fabulous Gellert baths built along Art Nouveau lines in early 1900 was our first experience in 2008, where we were separated into gender segregated steam rooms and thermal pools and wearing any clothes was totally de rigeur. I got lost in the maze of rooms, had no idea about the procedures, where no one spoke and none of the signs were in English and emerged slightly traumatised. Our next experience was in the outdoor Szechenyi Baths in the City Park, where I refused to leave Fred’s side and we lolled about in the warm pools in the open air, fully clothed in our swimming costumes. I rather reluctantly agreed to the Rudas baths – only because on the weekend it is co-ed. Miraculously, in the last 3 years, Budapest has realised tourists do need help in negotiating their customs and we were greeted by a young woman at the cash desk, who spoke good English and gave us information in English on where to go and what to do. We were handed bath sheets and a shower cap and off we went into the unisex change rooms. Donning our swimming gear and caps! into the Hamam we went, down into old stone caverns till we came upon the darkened octagonal stone pool, built by the Sultan and suffused with tiny pinpoints of light through a coloured glass dome ceiling. It felt strangely decadent but the water was wonderfully warm. None of the locals gave us a second glance as we jostled to find a spot around the edge of the pool. Around the outside were smaller pools of varying temperatures and we watched as people of all ages, shapes and sizes hopped from one to the other. On one side of the main pool was the sauna area, so off we went trying the Hamam technique – dry sauna, shower etc – except that on exit from the sauna room was a shower, above which was a huge wooden bucket and rope handle. This icy water was obviously the ‘cold plunge’! I think I was the only person who let out a strangled yell as the water hit my sauna heated body. We finally got the hang of it all and appreciated the thermal therapy to finally rid us of our nasty colds.